Resident Evil vs. Silent Hill; it is well documented that I come down firmly in the Silent Hill camp. My general opinion of the RE franchise has been that it focused too much on action and not enough on horror. I'm starting to think that I hold that opinion just because my introduction to the series was Resident Evil 6, essentially a military style shooter like COD with odd shooting parameters and zombie bug things. Resident Evil 7 has at least allowed me to place the Resident Evil in it's own similar yet distinct category. 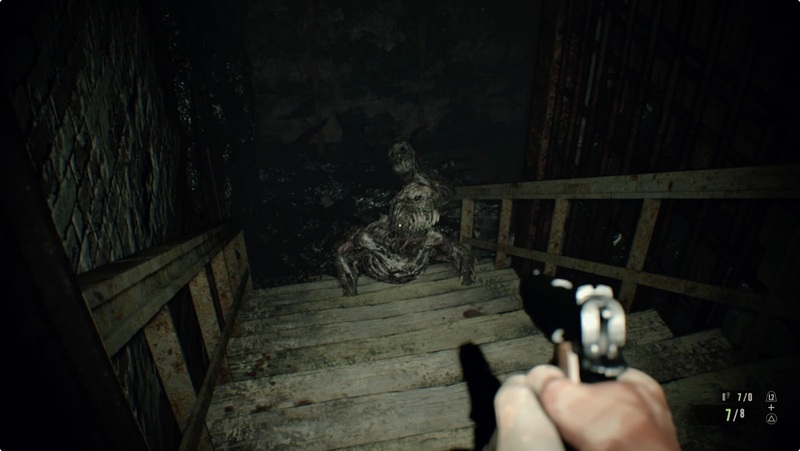 It seems that Capcom had their notebooks out while playing P.T. (The Silent Hill that never was) because RE7 incorporates a lot of the elements that made PT so terrifying and really nailed their execution. It was that good. I went for broke and tried using the PSVR to play at first. The integration was gripping and insanely immersive to the point where I would sometimes refuse to move out of sheer terror. During the intro, you enter an decrepit kitchen and I could almost smell the terrible stench of rot when I lifted the lid off a large cooking pot on the table. Unfortunately, I couldn't stay in VR for long before getting motion sick. Head movements tracked well and didn't lag or jerk much but when you turn your body in game, there is a sharp 30-45 degree jerk that I couldn't handle. I played in 15 minute intervals in VR right up until I got into the main house when I deciding that while advertised as built to be played in VR, RE7 was not. This is my one and only complaint and ultimate disappointment. RE7 made extremely good use of ambience and what I'm calling "monster minimalism." The main monsters were comprised primarily of bosses. The only other beasties you face are a few bugs and these terrifying, fungal creatures called the "molded." 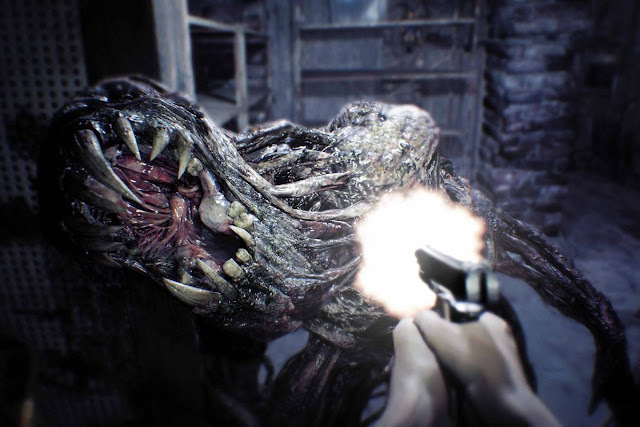 While there were few creature types, they were more than sufficient to create really challenging gameplay and an effective atmosphere of suspense and horror. Not to mention the creepy old granny catatonically sitting in different areas following my progress. This monster minimalism also allowed me to explore an environment and mystery laid out with care. By keeping the scope small, the details in the area really come out, and each of the scares in the game are made so much more effective for it. Thankfully, the combat has also come a long way since the awful, slow and dated controls of the older games. RE7 plays in first person perspective but keeps character in mind when combat inevitably ensues. For once, you don't play an elite agent who can punch boulders with impunity. Ethan is just a normal, everyday squishy guy, another reflection of Silent Hill that I was relieved to see in RE7. Normally I'm not a fan of first person shooters without precision tactics, but Ethan's lack of high precision work with the weapons in the game track well with a lack of training and help sell his character all the more while making the combat more challenging. Atop everything else, the storyline also kept me quite interested. It felt like a sort of soft reboot of the series, which I think was long overdue. 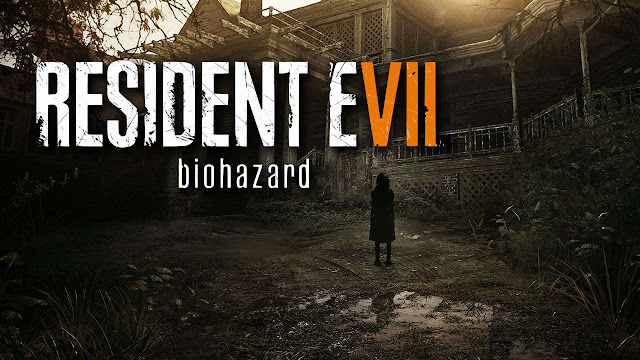 RE7 takes the elements that were good about the original and finally modernizes them and innovates in its scope and level of atmosphere. I certainly hope that Capcom can keep this sort of thing up. It is about time they stopped trying to cram their games into an aging framework and focused on player experience.